Best known for his role in creating Doctor Who for the BBC with C.E. Webber, Sydney Newman had first produced Pathfinders for ABC Television and we will see the origins of this trilogy. Furthermore, just as the Quatermass serials were an influence both on Pathfinders and Doctor Who, so can we argue that traces of what Doctor Who would become are to be found in the Pathfinders serials along with ways in which Doctor Who deviated along a different path due to its different producer, much to Newman's initial chagrin. In many respects, Pathfinders reveals much about the genesis of Doctor Who and both can be situated in the television landscape of the time. But, as we shall see, Pathfinders also connects with other telefantasy, both before and after, in its form and its pace, and in its emphasis on visuals. The approach here then is a historical one which argues for the importance of Pathfinders not only in consideration of Doctor Who but also in a study of British telefantasy and television widely. 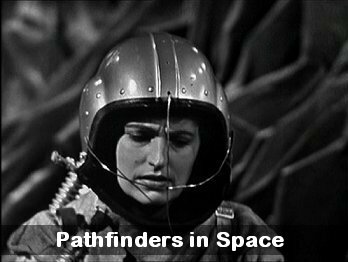 In the DVD Guide, Andrew Pixley places the origins of the Pathfinders serials (Pathfinders in Space (1960), Pathfinders to Mars (1960-61) and Pathfinders to Venus (1961)) in the television landscape of the day. Pixley notes that as the 1960s arrived, the ITV stations, notably ATV in London and ABC in the Midlands and the North, started producing specifically-written serials for children as opposed to adaptations of existing books, which had been the case in the 1950s since when it began in 1955 ITV had taken the lead from the BBC. This children's element was designed for the Sunday afternoon schedule and these specifically-written serials would also take the place of imported programmes (see Pixley). Canadian Sydney Newman (of Armchair Theatre) would produce these serials and the first was ABC's Counter-Attack (1960) which ran for seven weeks, followed by ATC's Formula for Danger (also 1960). Newman was keen to produce a space adventure series along the lines of the BBC's Stranger from Space (1951-2), The Lost Planet (1954) and its sequel Return to the Lost Planet (1955), and Space School (1956) (see Pixley). One can hence see the development which led to the Pathfinders serials. 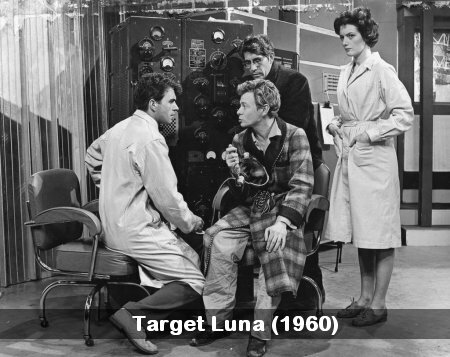 The writers Malcolm Hulke and Eric Paice, who had forged a career in television, penned the serial Target Luna which aired in 1960 and acted as a precursor to the Pathfinders trilogy and saw the three children of Professor Wedgwood, Geoffrey, Valerie and Jimmy go to spend the holidays with their father and the youngest Jimmy stowing away aboard a rocket sent up to space to orbit Earth's satellite (see Pixley). Target Luna also saw the introduction of Mr Henderson, a scientific newspaper correspondent (see Pixley). The format of the Pathfinders serials heavily prefigures that of Doctor Who which would be developed by Newman and Webber, although, as Gary Gillatt points out, there were other influences on Doctor Who such as C.S. Lewis' novel The Lion, the Witch and the Wardrobe (1950) where stepping into a seemingly ordinary object led to adventures. Pathfinders' format features a Professor and his children before the Professor is fully replaced by a journalist, Henderson, with his niece and only one of the original children. Similarly, Doctor Who's central character is a scientist, and he was accompanied from the start by 'companions'. One of these in the eventual series, Susan Foreman, was his (in appearance) teenage grandchild. Jonathan Bignell has argued that these programmes attracted younger audiences. As with the difference between Target Luna/Pathfinders in Space and Pathfinders to Mars/Pathfinders to Venus, the Doctor's companions could be replaced but, unlike with the Professor, the character of the Doctor was generally not marginalised (in the classic series) or written out, though the character regenerated and was replaced by different performers. The time and space machine of Doctor Who also allows for more diverse narratives and a much longer series that has lasted in some form up to the present. The presence of a guinea pig, Hamlet, in Pathfinders may additionally have attracted children. Pathfinders also prefigures the serials City Beneath the Sea (1962) and Secret Beneath the Sea (1963), written by John Lucarotti, with emphasis on exploration and villainy and again featuring the actor Gerald Flood in a main role, as well as the later series Timeslip (1970-71) which saw two children go on adventures through a time barrier as opposed to in a space rocket. There are also many other later telefantasies involving children. 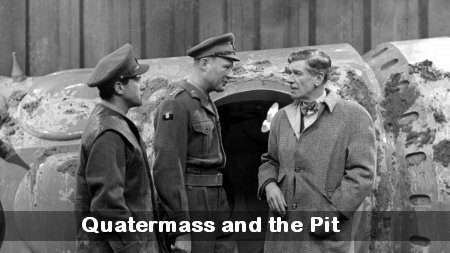 On the Television Heaven website, Daniel Tessier draws out the connection between Pathfinders in Space and Quatermass and the Pit. Both involve a spacecraft penetrated by characters and feature a lost civilisation which existed millions of years previously. In borrowing from Quatermass, Pathfinders in Space is not unique. Doctor Who, as noted above, featured a scientist figure, especially prominent in Jon Pertwee's era, much of which saw the Doctor advising the military on Earth. Moreover, as fans recognise, 'Spearhead from Space' (1970) draws heavily on Quatermass II (1955), 'The Daemons' (1971), 'The Ark in Space' (1975) and 'Image of the Fendahl' (1977) on Quatermass and the Pit (1958), and 'The Ambassadors of Death' (1970) and 'The Ark in Space' on The Quatermass Experiment (1953). The Pathfinders serial Pathfinders to Mars is also of interest when considering Newman's views of what science fiction should be. In this serial, Harcourt Brown assumes a scientist's identity and hijacks the ship on the way to the moon and takes it to Mars under the deluded quest for life on this other planet. It is important that Harcourt Brown is cast as the antagonist and that the only life to be found on Mars is dangerous vegetation rather than BEM's, explicitly referred to as Bug Eyed Monsters in the narrative. Pathfinders to Mars is very much a rehearsal to the oft-quoted story about Newman's fury with producer of Doctor Who Verity Lambert when she introduced the Daleks in the second serial (1963-64). Lambert defended herself arguing that the Daleks were casings for mutants and as it turned out were popular with viewers, particularly child viewers who played Daleks in the school playground (see Gillatt). Newman is quoted in the Radio Times 1983 issue commemorating the twentieth anniversary: 'I had specifically said at the start that I didn't want any bug-eyed monsters in the series, so when Verity came up with the Daleks, I bawled her out. She protested that they weren't bug-eyed monsters, they were human brains whose bodies had atrophied, and therefore they needed those metal shells!'. Newman was reacting against the type of bug-eyed monster to be found in pulp fiction of the 1930s and to films at drive-in theatres of the 1950s (see Heather Urbanski's discussion of the bug-eyed monster widely). Indeed, Pathfinders to Venus also illustrates Newman's view of what science fiction should be. The serial prefigures Terry Nation's first Dalek serial in important ways and displays difference in others. 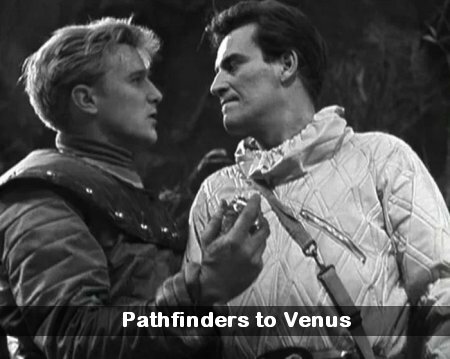 The third episode of Pathfinders to Venus is titled 'The Living Planet' whereas the first episode of the Dalek serial would be called 'The Dead Planet'; the Pathfinders serial sees characters making their way through a (hostile) jungle and the first episode of the Doctor Who serial would see the protagonists making their way through a petrified forest (it would transpire that the landscape had been devastated by an atomic war); and Harcourt Brown uses deceit, first to get the crew to land the rocket on Venus and then to cross the mountains in search of a city which he believes contains advanced Venusians, just as the Doctor would use deception to explore the city in 'The Dead Planet'. The Doctor would feign that mercury is needed from the city for the Fluid Link, a device which would enable the ship, the TARDIS, to operate. The characters of Mr. Henderson and Professor Meadows prefigure Ian Chesterton and Barbara Wright on the expedition, though Ian and Barbara differ since they would not be romantically involved on-screen. But Harcourt Brown's perception of aliens is mocked in Pathfinders to Venus when Meadows gives an impersonation of a stereotypical alien and he is described as advocating 'scientific half-truth'. The city turns out to be a burial ground and unlike what would be the case in the first Dalek serial does not contain BEM's and the only life of the planet, as well as flesh-eating vegetation, are creatures prefiguring the stone age man seen later in Anthony Coburn's first Doctor Who serial (1963), while 'The Valley of the Monsters' (the title of episode six) is a valley of different types of dinosaur. 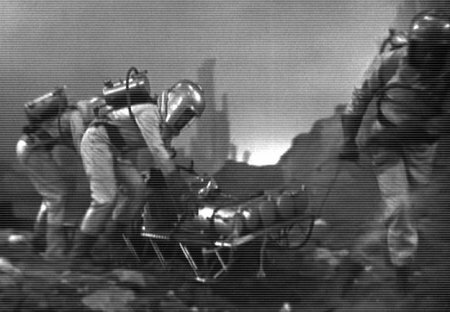 Various Doctor Who fans have noted the similarity of Pathfinders to Venus and the first Dalek serial in passing but not that the differences tie in with Newman's opinions of BEM's in science fiction. Doctor Who was indeed conceived by Newman as an educational programme in keeping with the Public Service remit of the BBC and this was nowhere better illustrated than in the stories which saw the Doctor and his fellow travellers going back into Earth's history (for example, the times of Marco Polo and of the Aztecs). Both Pixley and Tessier point out how the Pathfinders serials, like Target Luna, were educational, as well as being fantastical and featuring occurrences which were not plausible. The serials were placed in a historical context of the space race, UFO sightings and observations of the canals on Mars as well as highlighting some real scientific concepts. Episode seven of Pathfinders to Venus also contains eight deliberate production mistakes as part of an experiment on the child viewer's attentiveness (see Pixley). The Pathfinders serials, like Target Luna, further illustrate the much slower pace of television of its day when compared with contemporary telefantasy. The form of Pathfinders was, as common with Quatermass and numerous programmes which followed including Doctor Who, a series of serials, stretching 7, 6 and 8 episodes respectively, with cliff-hangers at the end of episodes. It takes considerable television time (episodes) for the rocket to land on the moon in Pathfinders in Space and then for the travellers to explore the underground cavern where they find the existence of prior visitors. 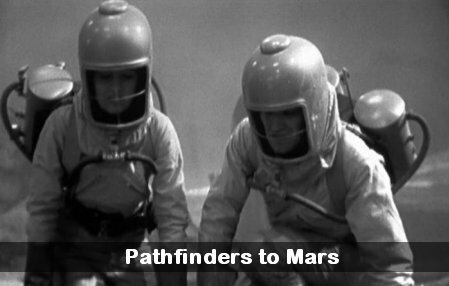 Pathfinders to Mars, meanwhile, begins as a thriller with a mystery man, who turns out to be Harcourt Brown, taking the place of a scientist aboard the rocket destined for the moon, seizing Margaret Henderson as a hostage and heading the craft to Mars. Following this, much television time is spent on the exploration of Mars. Similarly, Pathfinders to Venus takes much television time for the crew to land on Venus and even longer for the trek on the planet. Each serial follows the pattern of being set in the rocket, the exploration on land, and a return to the rocket and sees characters separated into groups. The Pathfinders serials exhibit the slower pace not only associated with the prior Quatermass serials and later in Doctor Who but also in many other programmes like Timeslip and Sapphire and Steel (1979-82) as well as series other than telefantasy. Pathfinders also fits in with other telefantasy with its visual aesthetic as well as its use of sound. In her book Telefantasy, Catherine Johnson explains that the arrival of Nigel Kneale and Rudolph Cartier at the BBC saw intimate drama challenged and an 'emphasis on television's potential as a visual medium with a closer affinity to cinema than radio'. Johnson points out that in the final episode of The Quatermass Experiment there is an emphasis on a BBC outside broadcast and characters looking at 'something' moving in Poet's Corner of Westminster Abbey. According to Johnson, the final episode of Quatermass II also sees Quatermass and Dr Pugh travel into space and destroy a large alien organism, while the final episode of Quatermass and the Pit sees a large, devil-like image projected into the sky. Later, at the end of the Pathfinders in Space episode 'The Man in the Moon', Valerie explores a cavern and the episode ends with the visual revelation of a creature in the rock, highlighted by the light from her torch, though this is not a bug-eyed monster. As in Target Luna, there are also model shots of the rocket in the serials and here of landscapes of planets. These serials paved the way for later telefantasy including, but certainly not limited to, Doctor Who. Pathfinders, like much television of the time, had connections with the theatre as well as with cinema. Pixley notes the way that the serials were filmed as 'if live', which was the case with many other programmes. Pathfinders in Space, broadcast on commercial television, also, for instance, saw each episode divided into what were explicitly called 'acts'. As each episode was made to fill a half hour slot there would be two acts with commercials in the middle, like there was an intermission in the theatre, and this break was labelled 'End of act 1' and 'act 2'. The Pathfinders serials feature gender stereotypes of the type common in science fiction of the day. In Pathfinders in Space it is deemed that Valerie not go up in the rocket to the moon since she is a girl. However, Valerie takes active agency and is a stowaway in the rocket. At the end of the fourth episode 'The Man in the Moon', when exploring a cavern beneath the moon's surface, however, Valerie conforms to expectations of gender when she screams at the sight of a creature. In Pathfinders to Mars, Harcourt Brown takes Margaret Henderson hostage aboard the rocket but she uses ingenuity until he becomes aware of her plan. In Pathfinders to Venus, the third episode 'The Living Planet' ends with Margaret screaming as a creature's hand stops the hatch that leads into the rocket from completely closing and she screams again in the fourth episode 'The Creature'. This is so even though the older female Professor Meadows is on the expeditions. Finally, it is important to note that Pathfinders carries the signature of its writers, especially that of Malcolm Hulke. For instance, Pathfinders to Mars prefigures the much later Doctor Who serial 'Frontier in Space' (1973), starring Jon Pertwee. In the Pathfinders serial, there is a walk on the outside of the rocket in an attempt to prevent Harcourt Brown from transporting the crew to Mars, and in the Doctor Who serial the Doctor makes his way along the outside of the spaceship in an attempt to thwart the Master's plans and take control of the craft. Andrew O'Day (2019). Thanks to Dr Matthew Kilburn for suggesting some archival material, to David Brunt for his Facebook observation about the resemblance of City Beneath the Sea and Secret Beneath the Sea to the Pathfinders serials, and to Tim Harris, Richard Harris and Professor Anjili Babbar for their support. References: 'Space for "quality": Negotiating with the Daleks' by Jonathan Bignell in Popular Television Drama, Doctor Who From A to Z by Gary Gillatt, Telefantasy by Catherine Johnson, The Pathfinders in Space Series Guide DVD Booklet by Andrew Pixley, Radio Times, Doctor Who 20th Anniversary Special, 19-26 November 1983, 'Pathfinders in Space' on the Television Heaven website by Daniel Tessier, Plagues, Apocalypses and Bug-Eyed Monsters: How Speculative Fiction Shows Us Our Nightmares by Heather Urbanski.